Children of Blood and Bone is one of the most anticipated YA books of 2018. Movie rights have already been sold and YA blogger sites have been singing its praises. And there is a lot to like here. Tomi Adeyemi has constructed a fast paced, roller-coaster quest-based fantasy book set in a well realised West-African-inspired setting and delivers the kind of thrills and characters that her YA readership craves. Zélie, is a Diviner, part of a subgroup of people in the kingdom of Orisha subjugated and feared for their former ability to use magic. Magic was banished from the world by the moustache-twirlingly evil King Sanara thirteen years before. Those with white hair, who carry the mark of magic users, are reviled and repressed. But an encounter between Zélie and runaway princess Amari changes the equation. Amari has stolen a relic that can respark magic in individuals and, together with Zélie and her brother Tzain, embarks on a quest to unite three sacred artefacts and bring magic back to the world. While Children of Blood and Bone has a unique and fascinating African setting and mythology, the plot and characters owe as much to recent YA-fan favourite series like The Hunger Games and The Maze Runner. The characters are young adults who know how to fight but have to overcome their personal demons and fears to find their power and be heroes. They go on a quest and face plenty of adversity and pain along the way. But there is also budding romance and the emotional turmoil that this brings. 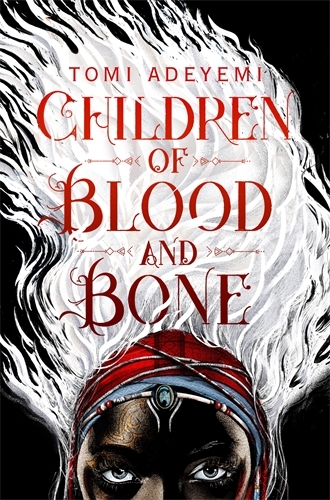 So that while Children of Blood and Bone is an exciting, page-turning read, it is hard to avoid tripping over the YA tropes and the deliberately crowd-pleasing construction of some of the big set pieces. But there is no doubt that the YA-loving crowd will not only be well pleased but hanging out for both the movie and for the sequel.